Just days after House Republicans in Washington pulled legislation that would have phased out Medicaid expansion, red state Kansas voted to extend the program to low-income adults under the Affordable Care Act. The Kansas Senate voted 25-14 on Tuesday to expand Medicaid to low-income residents after the House passed the bill last month. The fate of the legislation is now in the hands of Kansas Republican Gov. 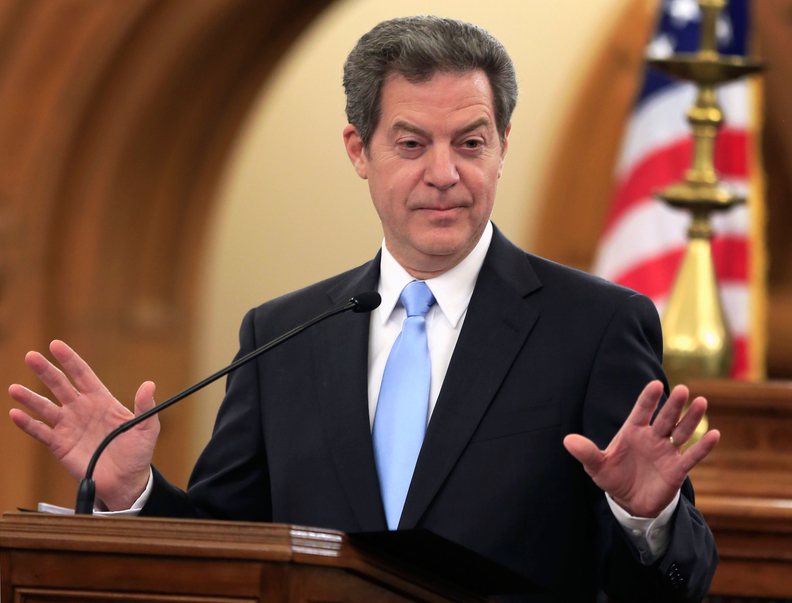 Sam Brownback, who previously signaled he would veto the bill. Almost 375,000 people were enrolled in Kansas' Medicaid program, called KanCare, at the end of 2016. An estimated 150,000 more would gain coverage if the state expands Medicaid. The bill's approval marked a stark change in Kansas state politics. Last year, Republican state Sen. Barbara Bollier was removed from a health committee for supporting Medicaid expansion. The ACA allowed states to extend Medicaid to adults with incomes up to 138% of the federal poverty level. All but 19 states have opted to expand the program. The U.S. House of Representatives' Republican ACA repeal bill, called the American Health Care Act, would have phased out the enhanced federal contribution that finances Medicaid expansion starting in 2020. It would also have converted Medicaid to a capped per capita payment system in 2019. The Congressional Budget Office estimated that the AHCA would lead to 24 million more uninsured people than under the current law. A big chunk of that—10 million— would stem from changes to Medicaid. But the AHCA was pulled last week after Republican lawmakers failed to garner enough votes. Now several other states are eyeing Medicaid expansion. Democratic Virginia Gov. Terry McAuliffe said Monday that he will try to expand Medicaid in his state, which has rejected expansion time and again since 2013. North Carolina, Maine and even Georgia are also considering expanding the program.